How to grow your social media network should be one of your main goals. To do that you have to develop an engaging community. To arrive to that , you will need more followers/fans. To get to that, yo have to get noticed first. 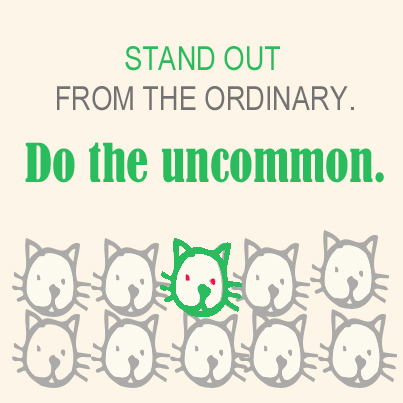 Everyone is out there clamoring to get noticed too like you do. With that in mind, how do you get other businesses in social media to notice you? How do you get their attention to so you get social brand get “liked”, “followed” and circled in? Note: This not exhaustive but could help you get started on how your business engages and communicates in social media. Friday is the noisiest day on Twitter digitally because of #FF. What is #FF? It stands for Follow Friday. It has a derivative hashtag that looks like this >> #FollowFriday <<. It’s a day when Tweeple (Twitter-talk here) recommend to others the friends that they follow. An example of a Twitter #FF shout out that stands out. Only a few do that type of #FF shout out. Yes, I am proud to say that we’re one of the few. The uncommon shout out takes time to create but it is of more value to the Tweeter that is the recipient of the shout out and to the tweeple that see it. This particular person got a follow and a thank you shout out back from me. Common: Using a company page, you “like” a page. Uncommon: Post a note on the timeline of the page you just like to let them know that you’ve stopped by. The other option is to leave a comment on one of their posts. When you like a page with your Facebook page, it doesn’t show in the notifications feed. The page you just liked will never know that you were there; unless, they go and check the “Likes” on their Facebook admin dashboard. I don’t know about you but I only occasionally check that section of the dashboard though because I prioritize those that are actively engaged on our page. Common: Pinning a pin to your boards. Like a pin. Uncommon: Write a comment. I do not spend much time on Pinterest but the comment that a brand left on one of my pins asking me if they could join the “Blogging and Content Marketing” community board that I created got my attention. Very uncommon: Don’t just pin an image to your post; Also, write helpful comments in the description section. Why is this important? Your comment stays there and gets passed along as it gets repinned. Think: Brand exposure! Common: Circle brands and people. That’s it. What do you do to grow your social network? Your turn!